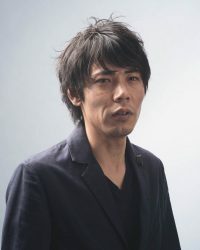 Jiro Kamata, 1978, born in Hirosaki, Japan. Artist that lives and works in Munich, studied at The Academy of Fine Arts Munich, with Prof.Otto Künzli and has works at the following collections: Hiko-Mizuno Collection, Tokyo. Marzee Collection, Nijmegen. Alice and Louis Koch Ring Collection, Basel. Helen Drutt Collection, Philadelphia. Jiro Kamata was inivited to give masterclass “Mirror, mirror on the wall…” for jewellery students on November 12-16, 2018.